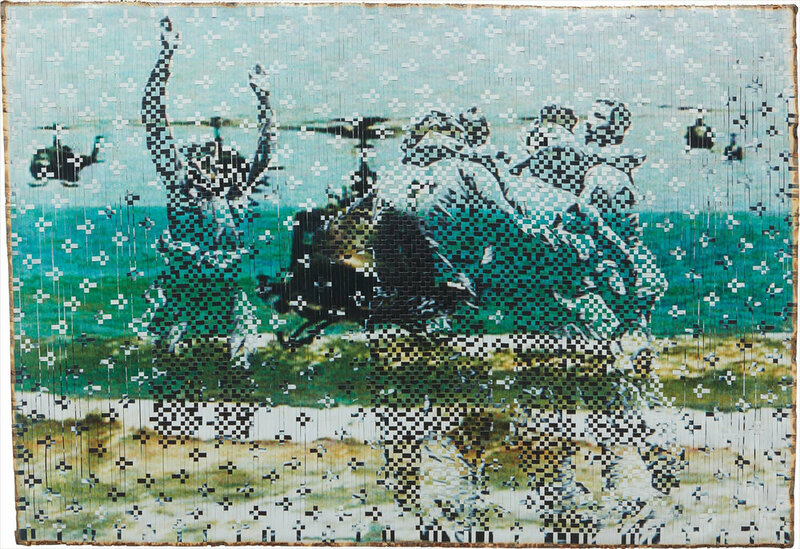 Dinh Q. Lê, 'Persistence of Memory #10', 2000-2001, cut and woven chromogenic prints and linen tape, 100.3 x 143.5 cm. Image courtesy of the artist. Private collection. Returning for its second edition, the IMPART Collectors' Show and Awards seems set to be a mainstay in the Singapore Art Week programme. The initiatives are organised by Art Outreach Singapore, the nation's only art education non-profit organisation which aims to advance visual art literacy and appreciation. "IMPART's programme objective is not only to cultivate emerging talents," says Mae Anderson, Chairperson of Art Outreach Singapore, "but also to inspirit art collectors and the public to engage and support our local visual art community." The awards will provide two artists and one curator each with a SGD15,000 cash award as well as a New York City exchange programme, while the 2019 IMPART Collectors' Show features 16 artworks from seven Singapore-based private collections and is overseen by curatorial advisor Tan Boon Hui, Director of the Asia Society Museum. Entitled 'Fabulous Monsters', most artists in the show are established names such as Zeng Fanzhi, Ronald Ventura and Dinh Q. Lê. Works by younger Singaporean artists include Ang Song Ming's 'Notes' which was first exhibited in his 2015 President's Young Talent presentation and a large work on paper by Henry Lee, who graduated with his MFA from LASALLE College of the Arts Singapore in 2018. With the intention of encouraging collectors to allow access to works they steward, Anderson notes broader participation among contributing collectors this year – from two to seven. The show also comes on the heels of other recent collection presentations such as the Signature Collectors' Visits organised in conjunction with ART STAGE Singapore 2018, and ‘Two Houses: Politics and Histories in the Contemporary Art Collection of John Chia and Yeap Lam Yang’ developed with LASALLE’s Institute of Contemporary Arts Singapore. These presentations beg the question: how could a collectors' exhibition create opportunities for emerging art practitioners and be meaningful to the public? Each showcase advances different goals, and reaches different audiences whether it is collector-centric or set within an educational context. Extending past the ephemerality of exhibitions, 'Two Houses' also invited 19 writers to contribute to its catalogue, the majority of whom are promising young voices. The critical challenge is to engage in the system at different levels while satisfying the interests of its stakeholders. Ang Song Ming, 'Notes', 2015, installation of 11 music stands with 11 printed texts and 11 acrylic sketches, dimensions variable. Image courtesy of the artist and Singapore Art Museum. Private collection of Lauren Bogen and Richard Nijkerk. "Philanthropic support is critical to creating and sustaining a vibrant and robust art ecosystem in Singapore," Anderson comments. The Singapore Cultural Statistic report highlighted that in 2016, contributions to arts and culture totaled SGD74.3 million while government funding was SGD712.7 million. The need for diverse sources of support has been a long-time issue, especially as debates about content censorship and long-term sustainability are intertwined with reliance on state funding. Establishing a big art prize is a tried and tested way of garnering attention for shortlisted nominees. Winning the award can certainly do wonders for one’s CV and assist individuals to be full-time practitioners. In discussing the phenomena, it is also an opportunity to think about how else philanthropic efforts could provide support for sustainable careers. For artists, this could include financing projects at artist-run spaces or co-share studios. For curators, it could be sponsoring paid internships or new positions within existing institutions. This is paramount in addressing class barriers in the arts and their impact on who gets to participate in the conversation. Against the backdrop of mega private museums which opened in the last two years such as MAIIAM Contemporary Art Museum in Chiang Mai and Museum MACAN in Jakarta, the patronage remains a largely reserved affair in Singapore. Just as visual art is seen to be a key expression of identity, the ways in which we promote its importance is equally telling of our values and vision. 'Fabulous Monsters' is on view from 17 January to 2 February 2019 at the ArtScience Museum, Level 4 and admission is free. The winners of the IMPART Awards will be announced on 26 January 2019.